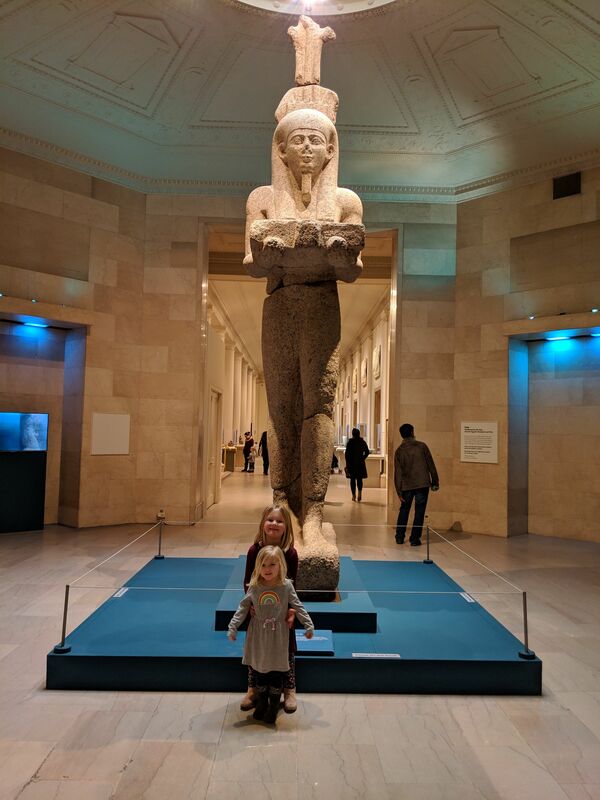 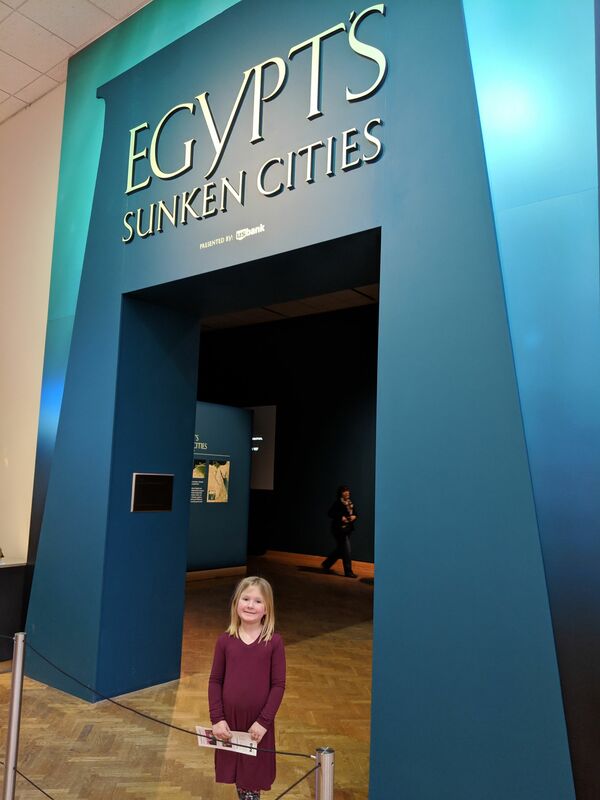 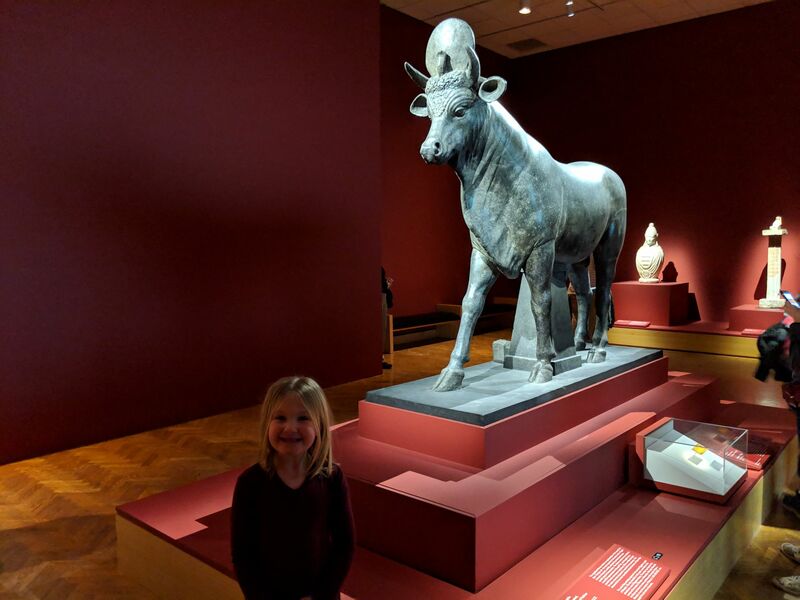 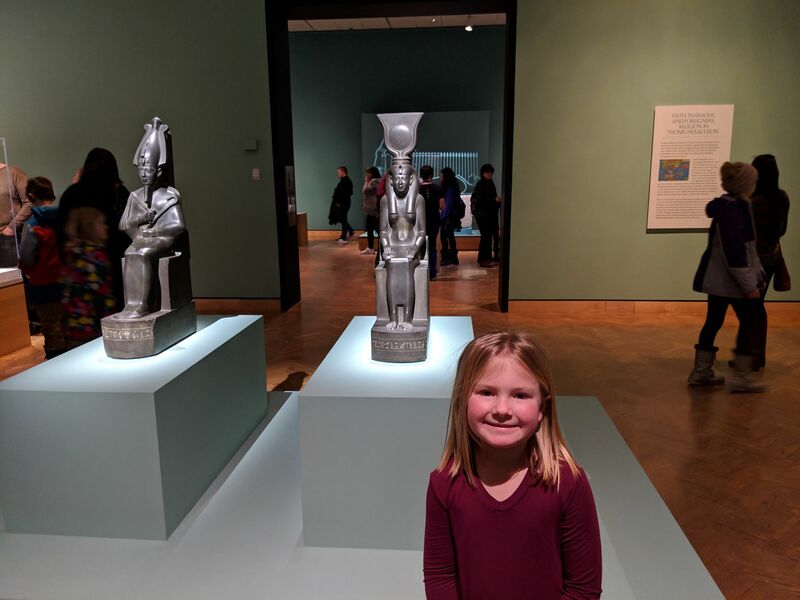 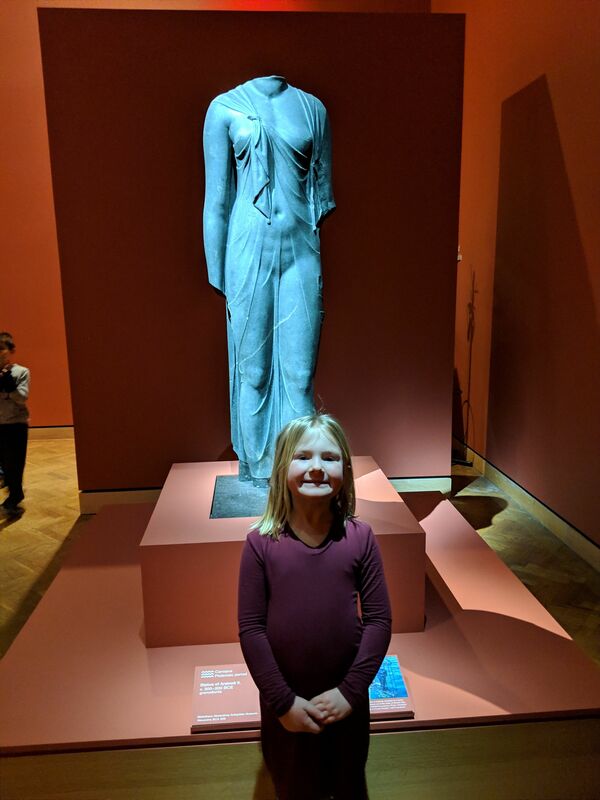 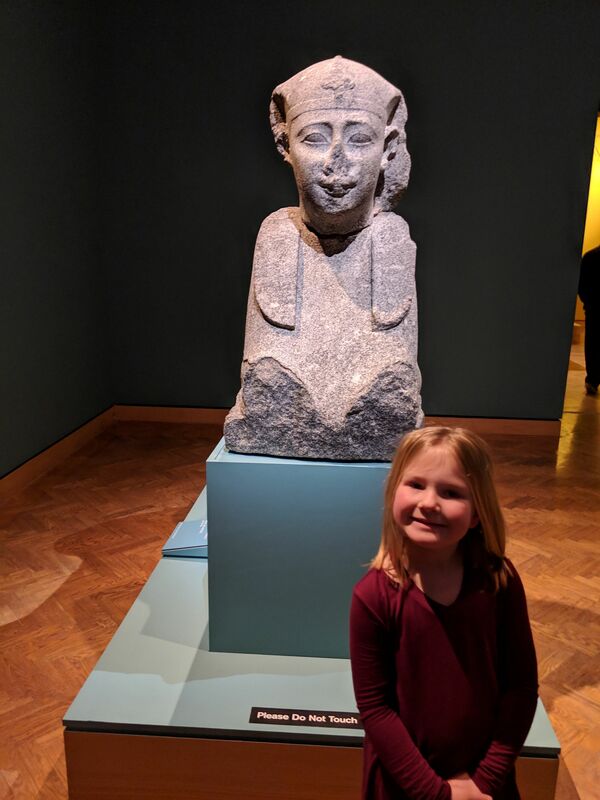 A couple weeks ago Emma's school got a presentation from the Minneapolis Institute of Art about their Egypt's Sunken Cities special exhibit. 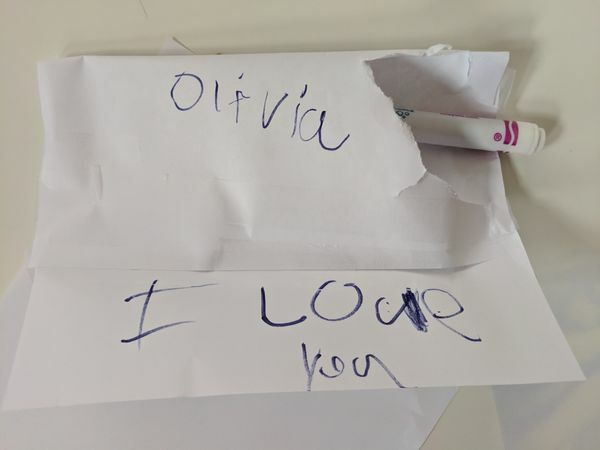 Since then she's talked non-stop about going to see it. 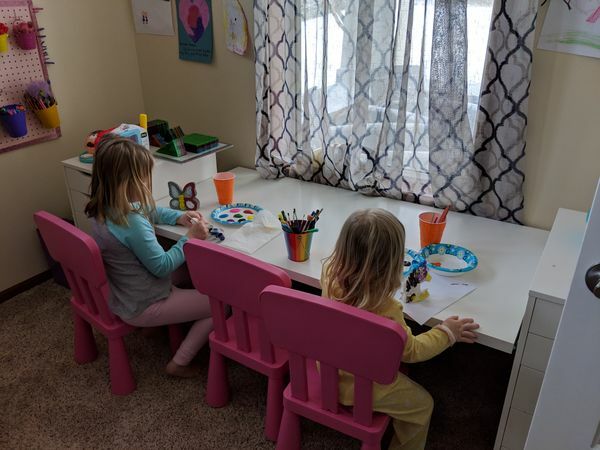 We went this morning so we could get home before the big snow storm this afternoon. 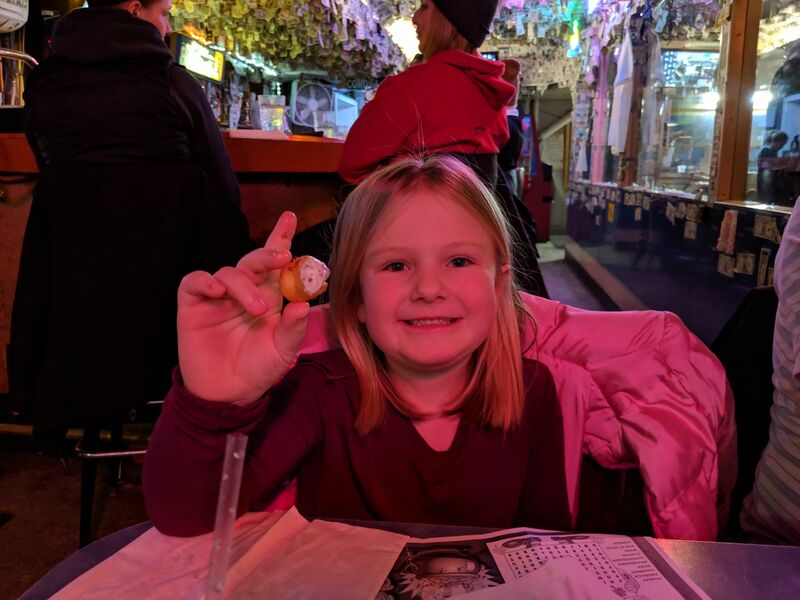 Luckily the storm was later than they expected, so we squeezed in lunch and cheese curds. 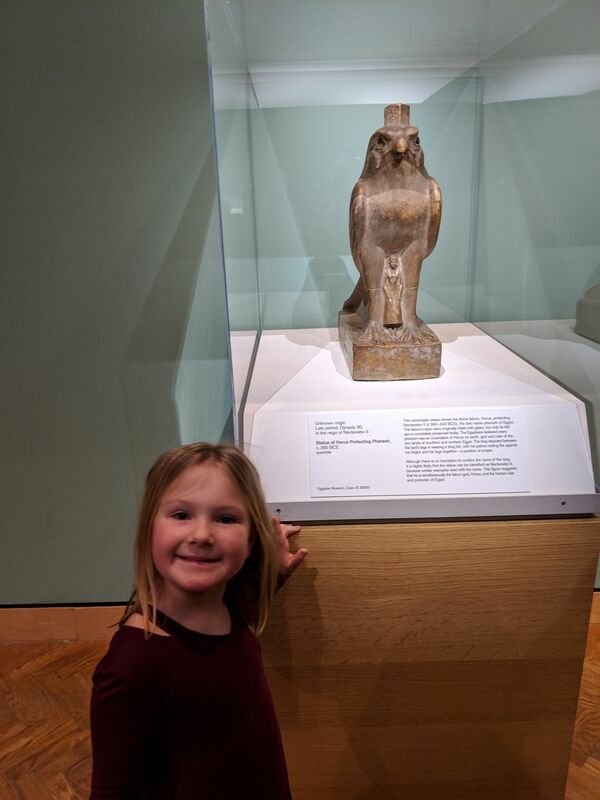 Apparently the art museum wore Olivia out. 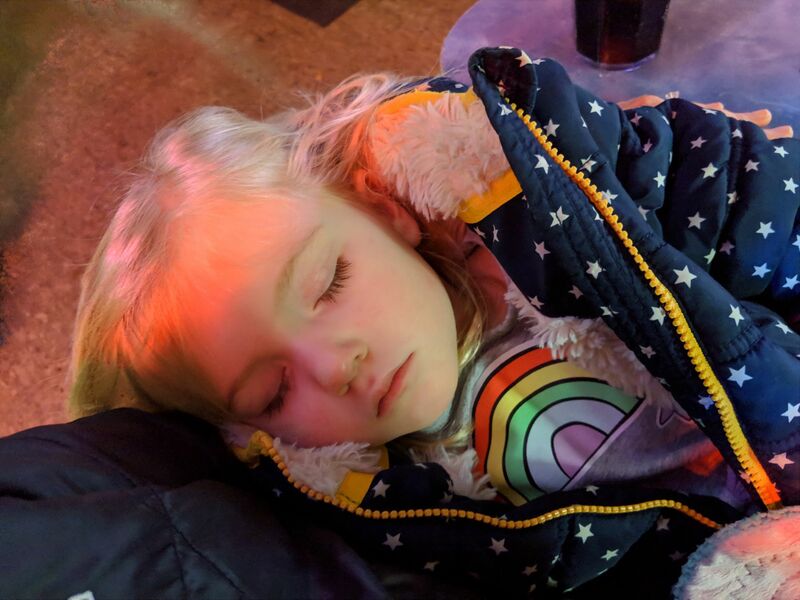 She fell asleep on the way to lunch and slept through most of it.